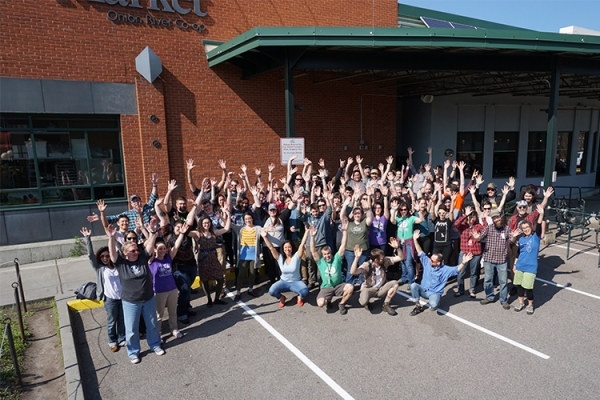 City Market is a vital community partner to a variety of local organizations. 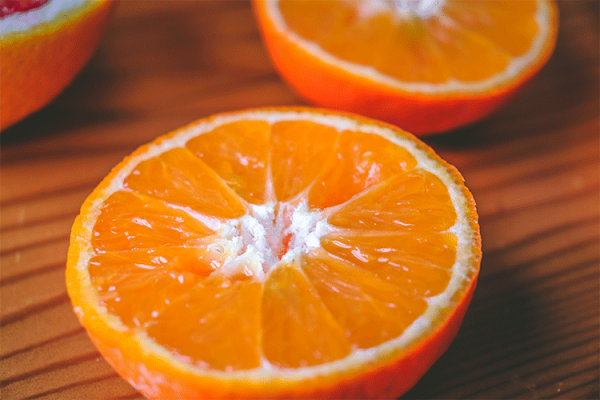 The Co-op works to focus its partnerships and outreach efforts to programs that work to alleviate childhood hunger and that promote the sustainability of agriculture. Here is a sampling of some of the Co-op's outreach programs and our partners. 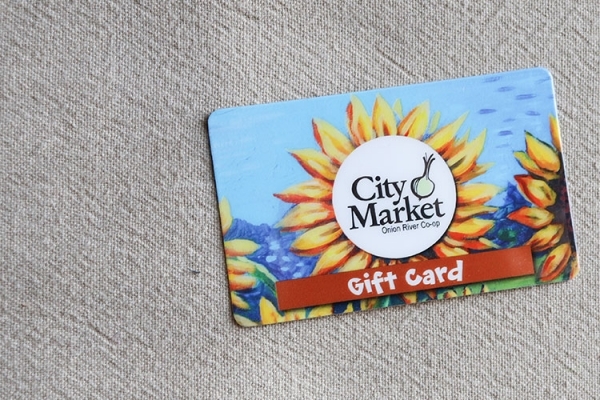 City Market makes a variety of donations to local community non-profits for school functions, community fundraisers and citywide events. It is helpful for us to receive at least 30 days notice prior to an event for donation requests. Please review our donation policy (pdf) and submit our donation request form (Word document or pdf) to donations@citymarket.coop or snail mail to: Donations/Community Engagement, City Market, 82 South Winooski Avenue, Burlington VT 05401. City Market offers customers the opportunity to "round up" at the register and we donate the change to 3 non-profits each month. Of the total donations each month, 40% is donated to a local non-profit working to strengthen the local food system or alleviate childhood hunger (we are not currently accepting applications for this partnership); 50% is donated to the Chittenden Emergency Food Shelf each month, and 10% is donated to a local non-profit that fits with our Global Ends (but doesn't necessarily focus on the local food system or childhood hunger). With more than 4,000 transactions each day through our registers, we all have the opportunity to share what we think of as “small change” to rally for bigger community-wide change. If you'd like your local non-profit organization to be considered for a Rally for Change 10% Partner opportunity (and you haven't already participated in our "Change for Local Non-Profits" or "Rally for Change" program in the past), please review our donation policy (pdf) and submit our Rally for Change 10% Partner Application (Word document) to Mae Quilty or snail mail to: Mae Quilty, City Market, 82 South Winooski Avenue, Burlington VT 05401. Please note that we currently have a 4+ year waiting list for this partnership slot. Learn more. City Market is proud to be involved with a variety of events and organizations in the Burlington area. Here is a sampling of where our sponsorship dollars have gone: Jazzfest, Vermont Businesses for Social Responsibility, Lake Champlain Regional Chamber of Commerce, Northest Organic Association of Vermont (NOFA-VT), Burlington Business Association, Burlington School Food Project, Boys & Girls Club of Burlington, Hunger Free Vermont (formerly the Vermont Campaign to End Childhood Hunger), Kids CAN Help Food Drive, First Night Burlington, Junior Iron Chef Competition, Way to Go Week, and Old North End Little League. Please contact Mae Quilty with any sponsorship requests and include our donation request form (pdf). Please note that we plan out our sponsorships for each fiscal year well in advance (the 30 day notice for donations does not apply here); for additional information, please review our donation policy (pdf). City Market does allow state and federally recognized non-profits to schedule tablings at the store for the purpose of information outreach. It is helpful for us to receive at least 30 days notice for scheduling tabling requests. Please review our tabling policy (pdf) and submit our tabling request form (Word document) to our Community Engagement Coordinator, Adrienne Lueders-Dumont at aluedersdumont@citymarket.coop. Each year, City Market donates over $10,000 in both in-kind donations and financial support to the Chittenden Emergency Food Shelf. In addition, the Co-op supports the Food Shelf through our Rally for Change program. We also maintain a donation box for shoppers and we send the Food Shelf any surplus items from grocery, produce and the deli. The Food Shelf truck picks up a load from us five days a week. Each year in December, City Market has donated the proceeds from our annual tree sale to the Committee on Temporary Shelter (COTS). The annual tree sale has been held at the Co-op annually since 1997. City Market staff, Co-op Members and community volunteers assist customers with trees throughout the sale. 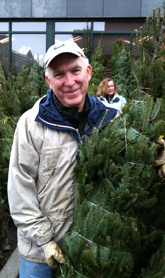 The fresh, local trees are delivered from Moffatt’s Farm in Craftsbury and are sold for only $35. According to COTS, $20 covers a night of emergency shelter for an adult at the Waystation. $50 pays for two new backpacks and school supplies for two children in their family shelters. We love it when our customers ride their bicycles to the Co-op! We recently became a participant in Bicycle Benefits program by offering a 5% discount to bicyclists that show their bike sticker attached to their helmet. The Bicycle Benefits stickers are sold at our Customer Service desk.